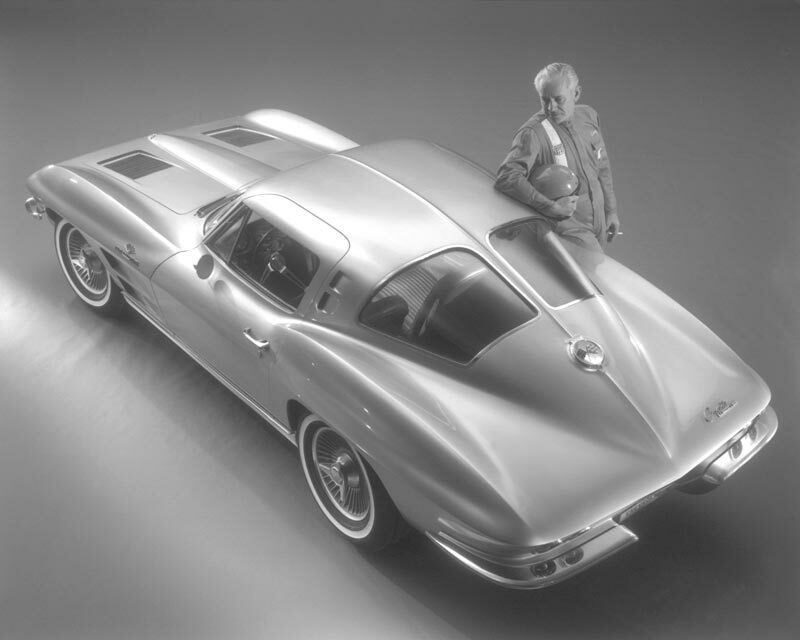 Under the direction of Bill Mitchell, the new Corvette was penned by Larry Shinoda. 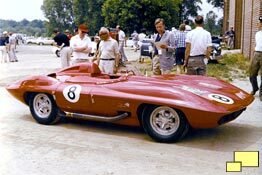 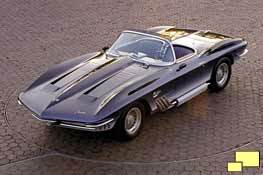 It was based on Bill Mitchell's 1959 Stingray racer and the 1961 Mako Shark. 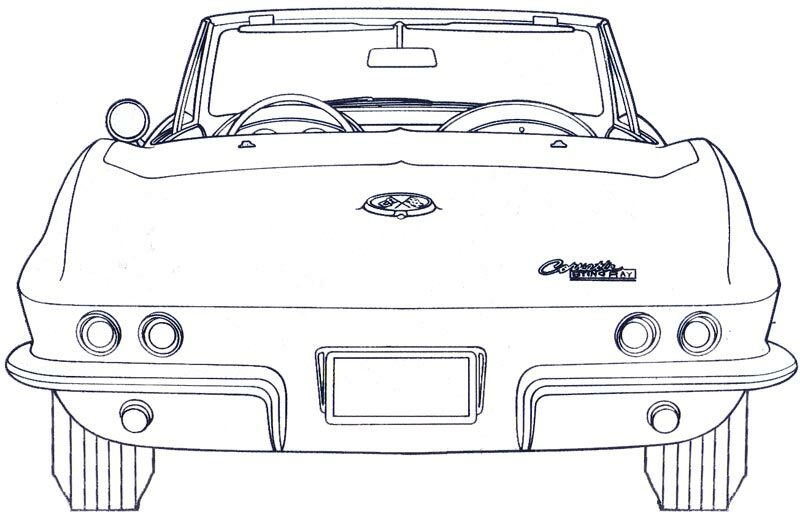 Revealed to the world on June 1962, two models - a coupe and a convertible - were introduced. 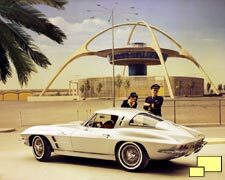 Both were a radical departure from anything sold to the public at the time. 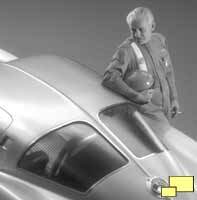 They were lower (almost three inches) narrower (3½ inches) and shorter by two inches than the previous generation. 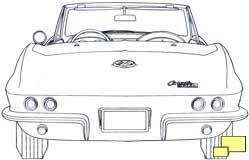 Their sleekness was indisputable. If you compare it to the other domestic offerings, it is easy to understand the impact it had. Wherever their owners took them, racetrack, boulevard or rally, the new Corvette looked like it belonged. 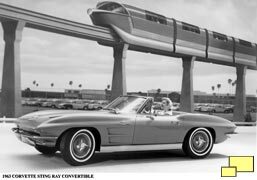 Two of the influences in Larry Shinoda's design for the 1963 Corvette - the Mako Shark (left) and the Sting	Ray racer (right). 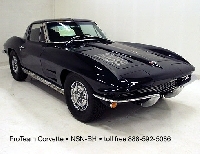 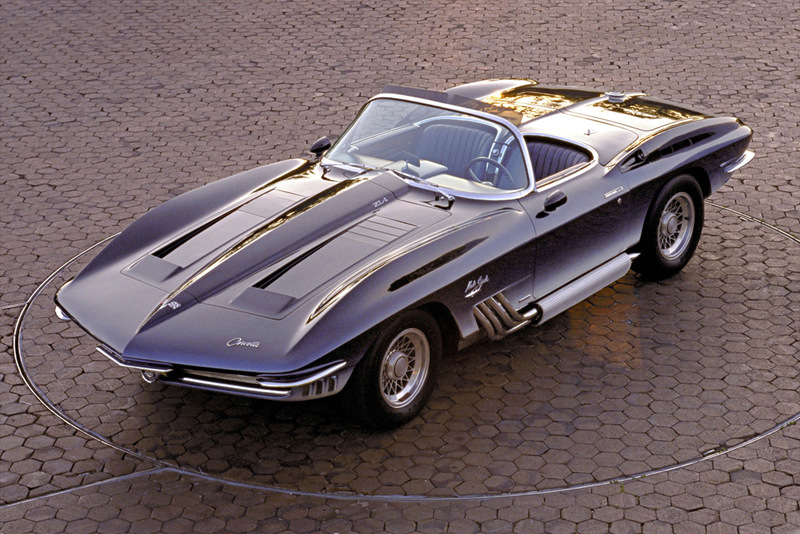 Like many great works of art, the 1963 Corvette Sting Ray was controversial. 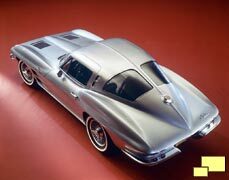 One of the signature elements of the '63 coupe was the split rear window. 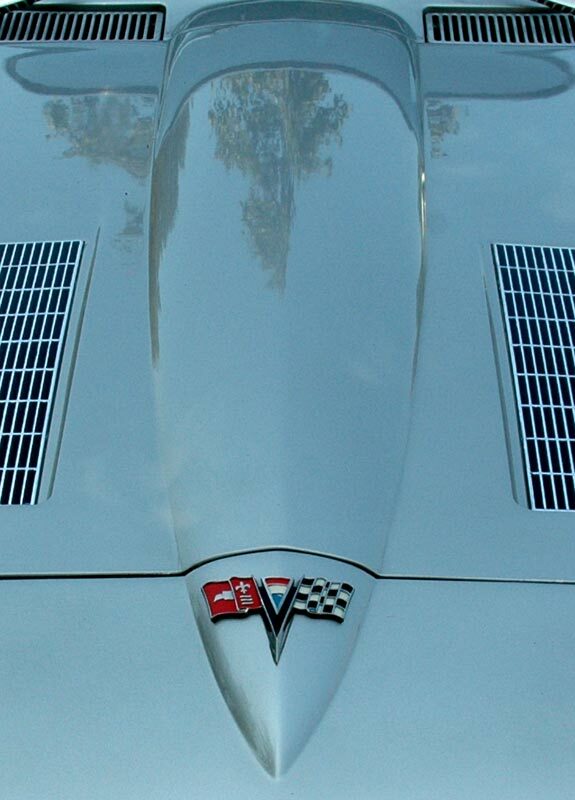 Bill Mitchell pushed for it, insisting that it was needed to complete the lines started with the pointed hood bulge (below left). 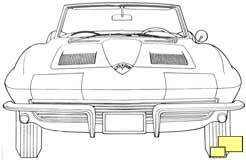 It was known as the "stinger" concept and in his mind the ridge that ran through the roof (below middle) needed to be emphasized. 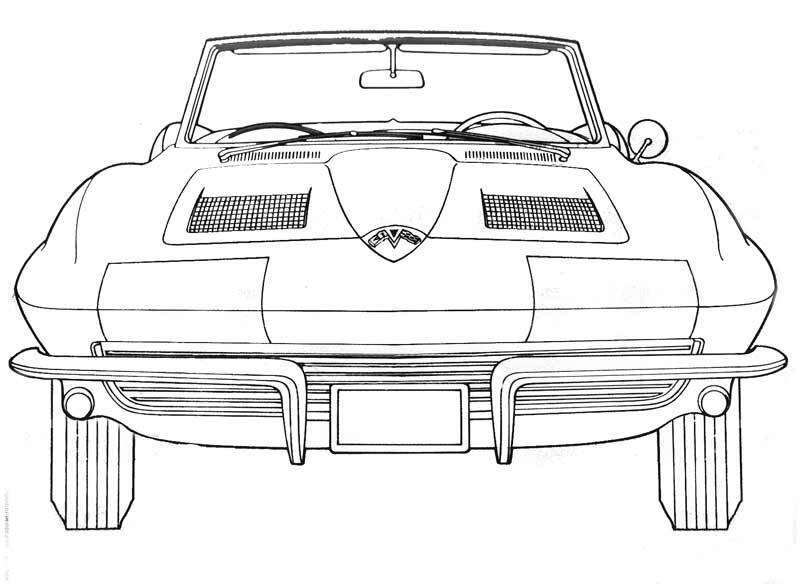 But Corvette Chief Engineer Zora Arkus-Duntov was against it; his engineering sense told him that the rear visibility sacrifice (below right) made it a bad idea. 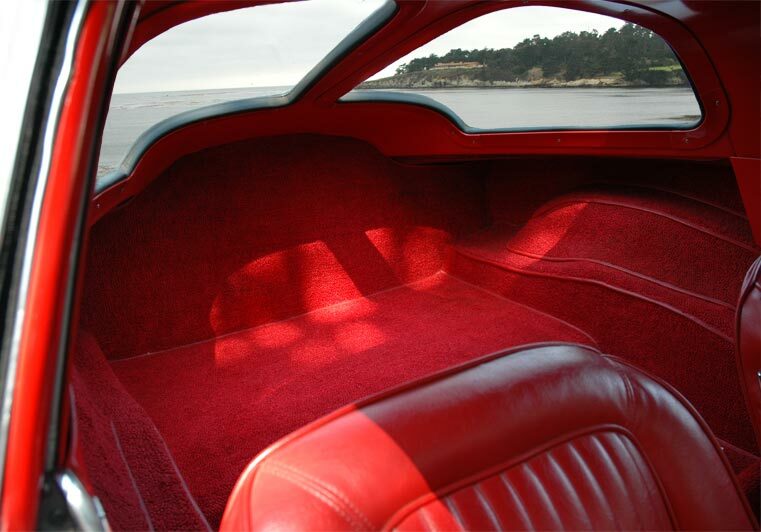 The coupe did feature a fair amount of storage space (above right) which was carpeted to avoid scuffing. 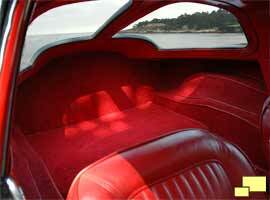 The one problem is that access past the seats was difficult. 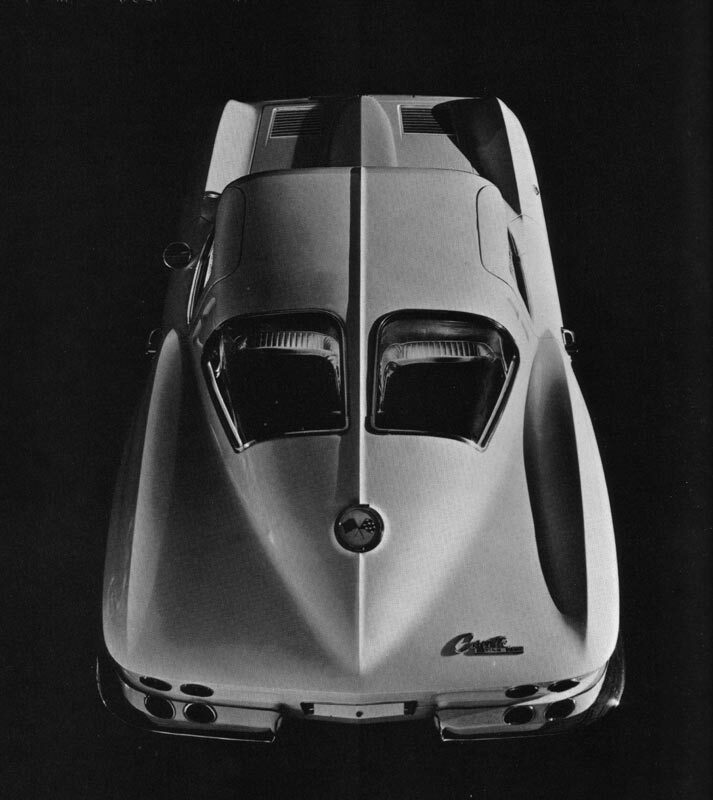 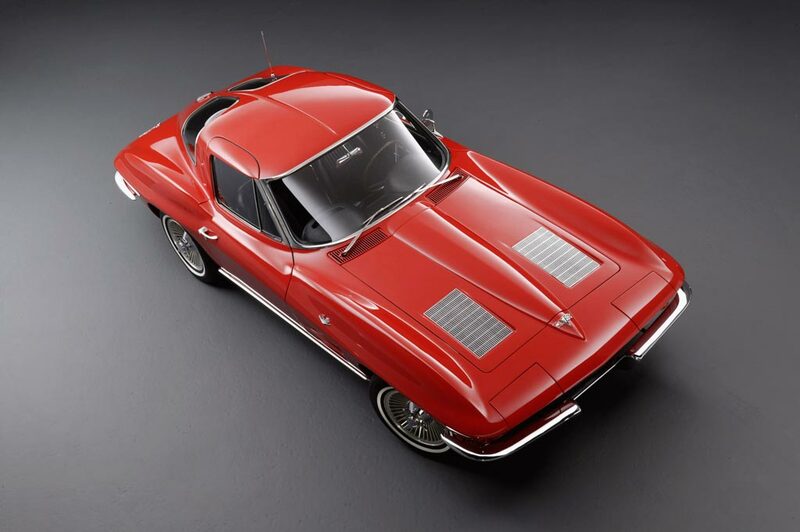 The critics and customers sided with Zora and so the split window became a conventional one piece style in 1964 Corvette Stingray and subsequent years. 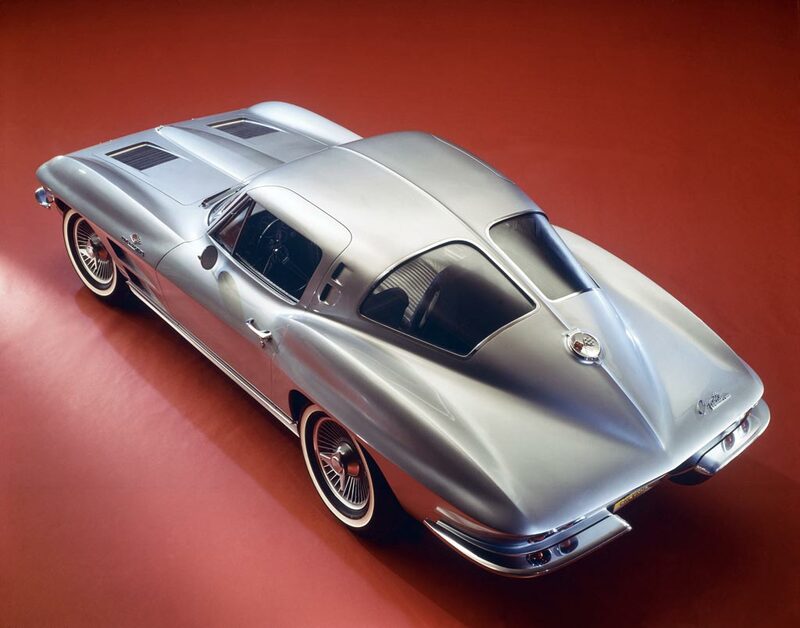 The collector car market has a definite opinion on the subject however as prices for split window coupes are much higher than for their conventional counterparts. 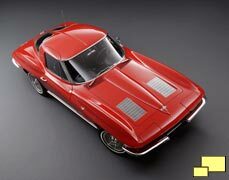 Part of this can be attributed to the limited availability since the split window had only a one year gig; also the needs are different since collector cars are driven much less than when they were new.